A Godly man devotes himself to God’s Word. I have grown up in the church. I have gone to church as long as I can remember. But, I never really got what “it” was all about until I started attending Highland Park in my sophomore year of high school. Do you know what changed my thinking about Christianity and my relationship to Jesus Christ? The minister at Highland Park taught the Bible. Everyone brought a Bible and we opened them and read along as he taught the Bible and it’s applications for life. Every Sunday morning, Sunday evening and Wednesday evening we were taught the Bible. The Bible came alive to me and also my relationship to Christ came alive. There have been times when I have been influenced by other teachings on how to live, but when I got back to reading the Bible it got me back on course. I see the Bible as my Guide Book for life. It keeps me in a positive relationship with the Lord. I have also found that the only way I will seriously study (not just read) is if I have a goal. Usually that goal is an assignment I am teaching someone else, or I am in an accountability group that expects me to study. Being a Godly man does not just happen. You can’t just coast along and expect it to happen. Just like being a good athlete, it takes training, dedication and focus to be a Godly man. Coasting won’t make it. Click here to download your very own copy of Journey to Manhood. Excellent! 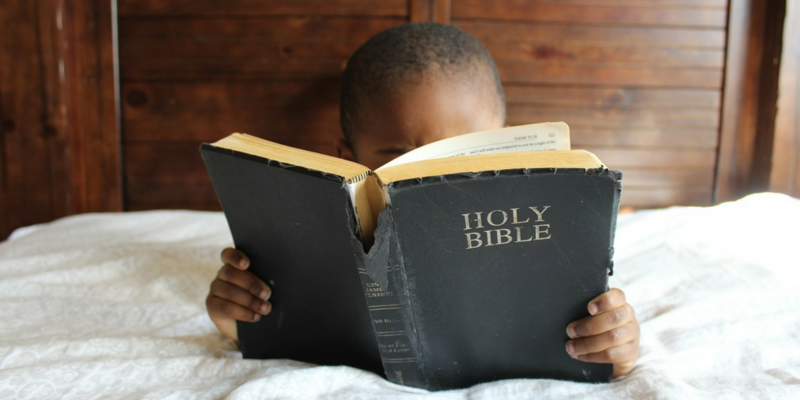 Though I didn’t grow up in church, I have found the regular exposure to God’s Word and my personal study of it invaluable to my spiritual growth. Well said dad. It has been a blessing for me to watch you live this out daily. Seeing you reading and praying over the God’s Word every morning while I was growing up was an example I will never forget. This has challenged me to set the same example for my kids. You have set the bar high.